In 2016 Livegenic began doing business with a managed repair program based out of Colorado. Since then, we’ve done some astonishing things together, helping their team manage claims across the country through some of the costliest catastrophes in US history. This month, our longtime clients and collaborators, MADSKY announced they were featuring Livegenic as their partner of the month. In their own words, MADSKY is the “first roofing-focused managed repair program (MRP) in the country, providing access to unmatched pools of vetted and trained professionals across the roofing repair process.” Their “network of networks” is the largest collection of roofing contractors in the U.S. consisting of more than 3,000 certified roofing contractors and a supplier network of more than 3,600 across all 50 states. Together we’ve produced a robust virtual inspection platform designed to speed up the managed repair process. Contractors in MADSKY’s nationwide network successfully use the platform to conduct live calls between an in-house adjuster, appraiser, and policyholders while gathering real-time images. The cloud-based technology provides MADSKY the ability to complete an estimate in less than 48 hours. The partnership further enhances the skill set of MADSKY’s contractor network with access to online training, tutorials, software updates and sharing of best practices. In 2017, this platform was put to the test when Hurricane Harvey hit Houston, TX, and Irma soon followed in Florida. It was one of the worst hurricane seasons on record, with Harvey tying with Katrina for most costly US hurricane. 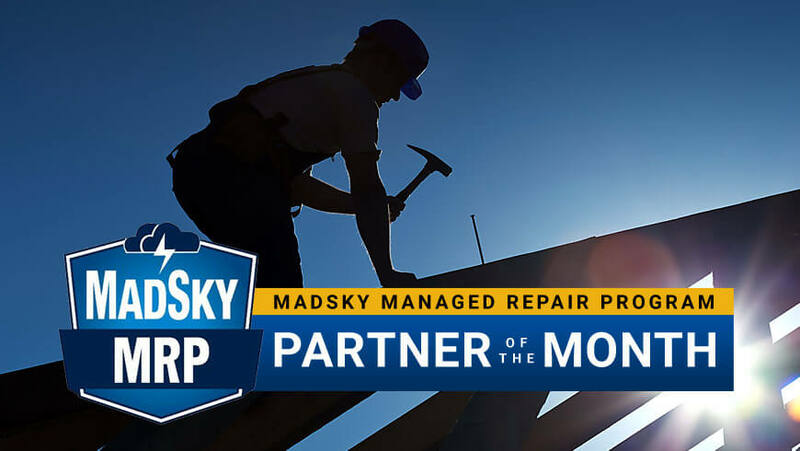 Being a nationwide repair program, MADSKY had their work cut out for them. But they also had the right tools for the job. With Livegenic in their corner, MADSKY was able to settle over 10,000 claims in the two months following Harvey and Irma. “At MADSKY we are committed to providing a frictionless customer experience for every single property claim.” Says MADSKY Founder LC and CEO Nussbeck. “Livegenic's technology allows our contractors to provide excellent our contractors to provide excellent customer service to policyholders and return their homes to pre-storm conditions as conditions as quickly as possible." At Livegenic, we’re honored to be featured by our valued partner. We are driven by innovation and a commitment to help insurance organizations reducing cost while boosting productivity and customer satisfaction. Our success last summer is a testament to that, and going into this new hurricane season, something we strive to continue and surpass. For more information about the partnership, please contact Monica Wynn, MADSKY Director of Marketing, at mwynn@mrpprogram.com.